Some days ago i went to Queenbay Mall, Penang to meet my previous colleague. We were totally no idea what to have at that moment, cuz it was around 4pm (tea time). 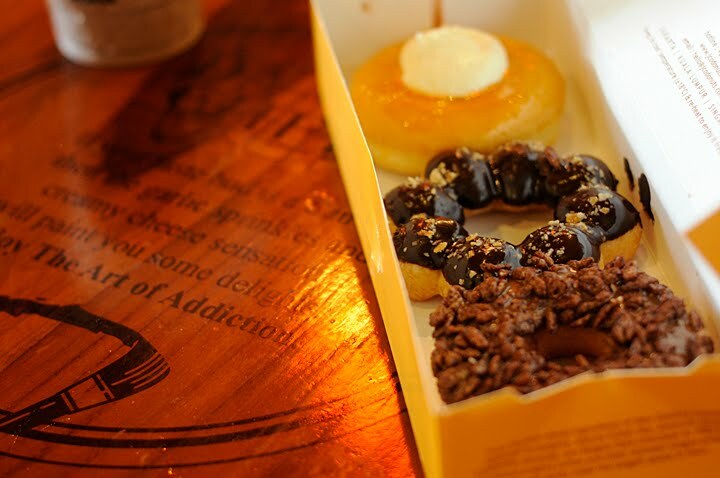 If lunch or dinner, i believe there will so much choices, but tea time... hmmm, after walk a few round... finally we stepped in to J.CO. 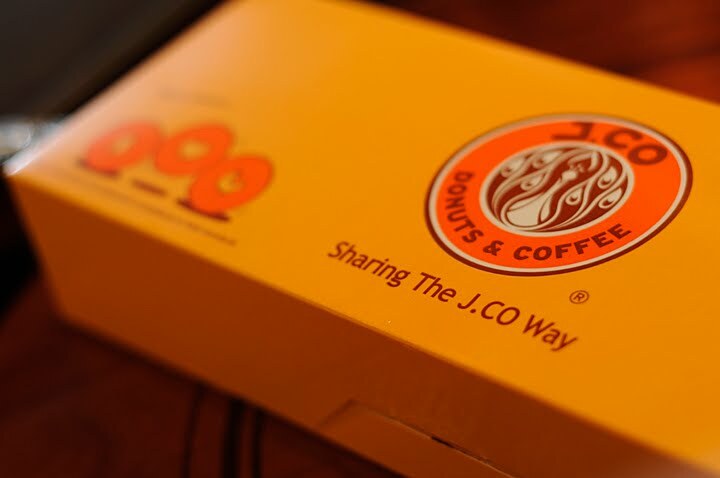 i think i would call it J.co House of donuts! There are lots of donuts in the shop, you should be able to notice there are more than 20 types of donuts selling there... i just grabbed 3 of them, these donuts aren't cheap. :/ with 2 more drinks, it cost around Rm 3X.00. 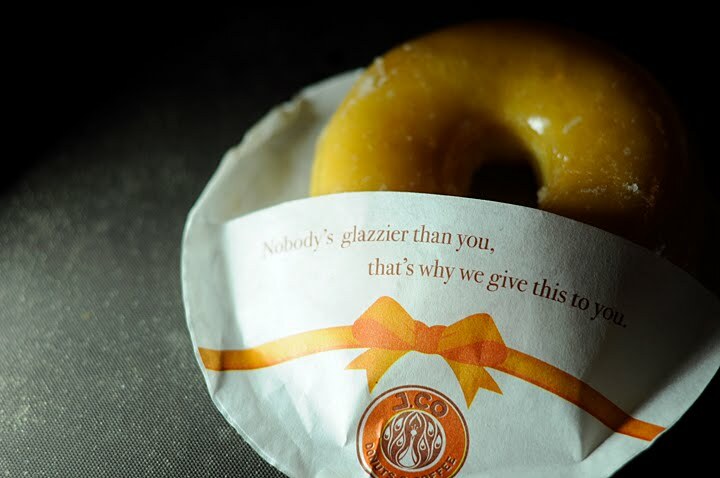 I would say that the donuts i ordered are a lil too sweet, taste nice! Buy 3 donuts, there were packed in the box!